Earn your event planning associates degree. If you exhibit creativity and like to plan parties, events, and meetings, consider a career in event planning! Event planning certificate programs are designed for aspiring event professionals, individuals seeking a career change, and others pursuing industry certification. They provide students with the tools needed to achieve their goals in this ever-growing and creative field. Travel agents, hotel employees, festival organizers, sporting events coordinators, fundraisers, professional association managers, and administrative assistants find event planning education especially helpful within their professions. Find schools that offer event planning degrees below. 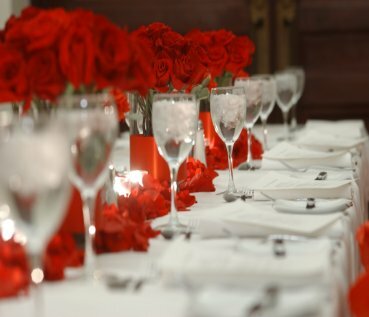 Event planning is a very popular and requested profession. Event planners create, organize, and monitor various events and activities within a multi-billion dollar industry. Companies increasingly concerned about achieving a higher return on their investment recognize the need for a highly skilled and educated workforce. Many businesses utilize event planners to help them with everyday meetings to corporate parties. International meetings and conventions also become more common as the business world continues to expand globally. When companies invest more and more money into meetings, the demand for event planners thus increases. Find schools that offer event planning degrees. Event planning programs prepare students to work in various areas of business, such as corporations, nonprofit organizations, and small businesses. They teach students how to organize and coordinate meetings, conventions, seminars, public speeches, promotional events, fundraisers, galas, fashion shows, and other group events. Many of these programs combine coursework with guest speakers, seminars, and other activities to familiarize students with event planning processes. Students learn to prepare budgets, set meeting objectives, and collaborate with business professionals to maintain successful events. Most graduates develop a sense of entrepreneurship to help them launch promising careers. Most event planning associates degree programs last only one or two semesters or meet over several weekend blocks and award students at least six continuing education credits and a degree of Achievement in Event Planning. They typically offer courses in event coordination, business management, and business communication. Other common classes include event marketing, advertising, and promotion, food and beverage management, event negotiations, and the legal aspects of event planning. Introduction to event planning, sales management, negotiations and contracts, financial planning and budgeting, logistics and time management, and project management are other courses included in most event planning certificate programs. You can also research bachelors degree in event planning schools to get even more career training. A degree program is often the minimum academic requirement for event planning jobs and adequately prepares students for entry-level positions. Event planners work in a wide range of industries because event planning is a significant part of so many different businesses. Many planners work for companies that rely on business meetings, events, conferences, and seminars to conduct business operations. Common careers include event manager or coordinator, meeting planner, corporate event director, and public relations assistant. Planners sometimes work in the scientific and technical consulting industries, while others choose employment as traveler accommodation planners or start their own event planning business in the fashion world or other artistic sector. Event planners also find employment in planning weddings, birthday and theme parties, anniversaries, and other social and corporate events. Research any of the schools below that offer associates degrees in event planning management. Speaking Engagements and Seminars – Every time someone has a speaking event, seminar or when a motivational speaker holds a training seminar someone needs to plan for it. This type of event planning includes ticket sales, coordination for rooms and travel for special guests. Fundraising Events – Both private and even corporate fundraising events are big business and you’ll need the ability to not only find a location but coordinate with the vendors attending. Corporate Events/Conferences – Learn about group sales, the entire planning process, how to pick a suitable locations as well as costs and budgeting. Almost every industry has yearly conference and some of the larger ones including: insurance industry, medical and business. Pre Wedding Events – You’ll learn how to work with wedding planners to perfectly select and coordinate that special day for a couple. This can include not only finding the right venue but coordinating bulk hotel lodging as well as dinner reservations for large parties. Trade Shows – Large convention centers all cater to trade shows but someone needs to be able to coordinate out all the events. This is where you come in with your experience and knowledge of event planning. Work with ticketing and outside sales reps to make sure every trade show runs smoothly. Job Events – Both at convention centers and hotels are now catering to the job market. Employers are needing to hire and as a job event promoter you’ll be responsible for working with employers on booth spaces and promoting the event for a good turnout. Do your research and find event planning schools to earn your associae degree in event planning.